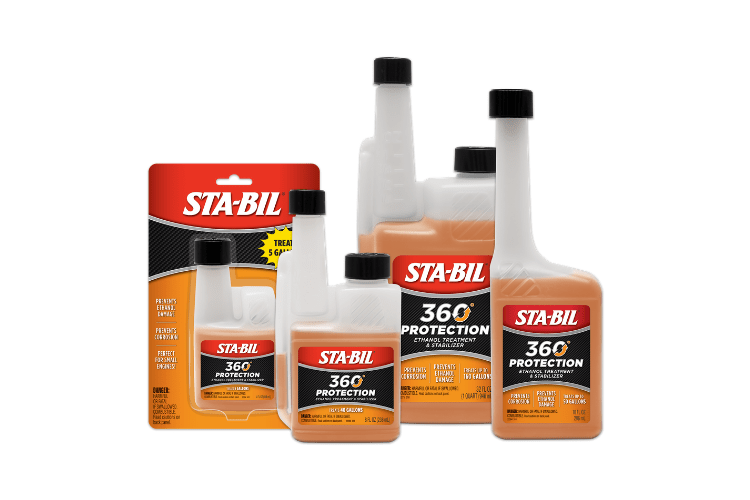 303® Automotive Protectant is rated 4.6 out of 5 by 96. Rated 5 out of 5 by Russell from Is it the same as the older product? 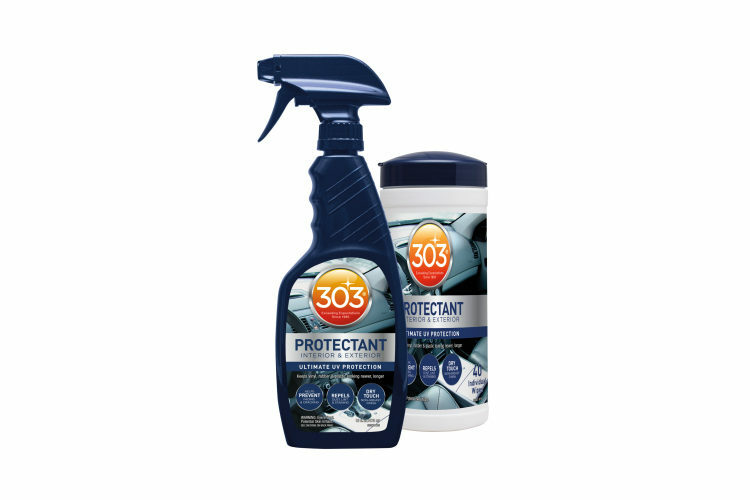 I just purchased a new bottle of 303 Aerospace protectant and noticed you are the new owner of 303 products. 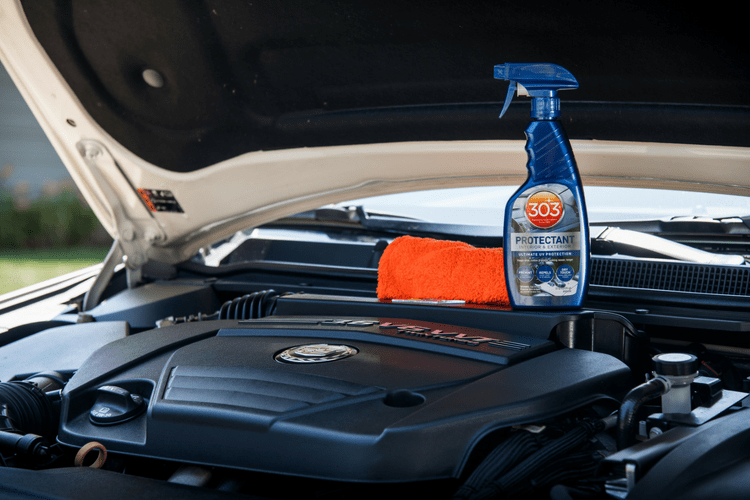 I have used 303 aerospace protectant on my BMW for over 10 years. I am a concerned that the product is not the same as before. The old label and description really focused on UV protection. Even said, "spf 40" for your stuff and "100% protection of UV caused slow-fade with regular use" and finally "world's most UV screening product". Your new label is much more generalized and says nothing very specific about UV protection. The other side is just as generalized. Question, is the product EXACTLY the same as before? Rated 5 out of 5 by Lumpy from Happy Shoes. No Sticky. 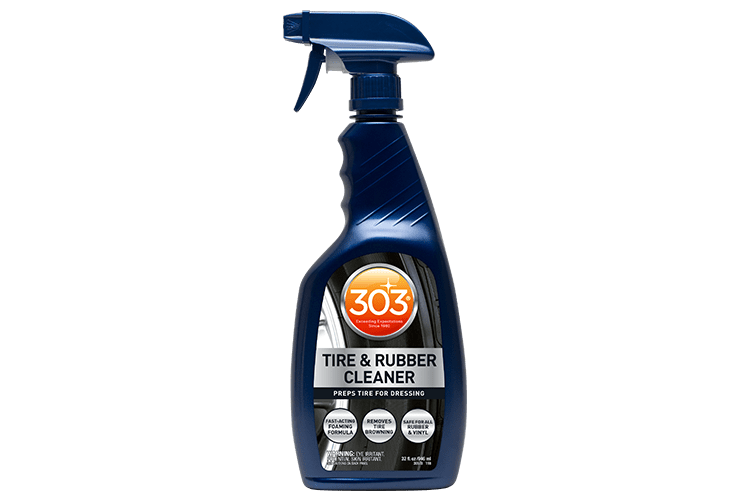 303 Protectant is an automotive rubber and vinyl protectant/dressing. I'm always skeptical when trying out a new vinyl and rubber protectant product. You know, is it going to be super shiny, or is it going to make my tires or dash a dust magnet? I'm happy to report neither was the case. 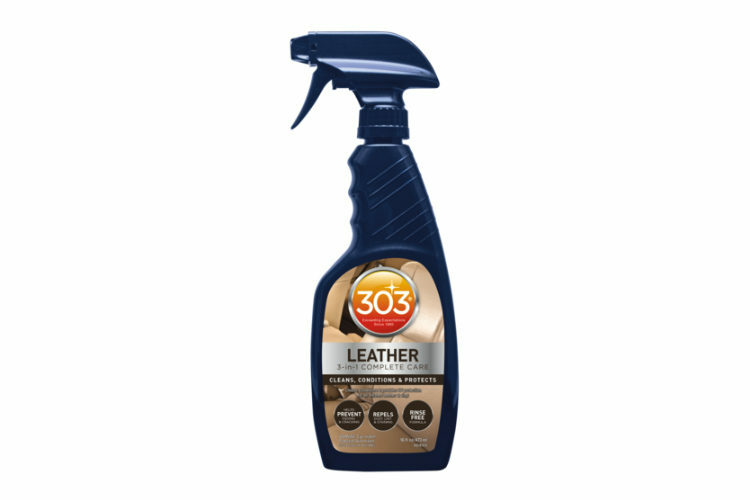 303 is easy to use, sprays on evenly, spreads easily, and buffs dry without leaving residue. The finish is awesome. I used it on the dash and tires of my G37. My tires and dash both look like new. Best part is, 303 isn't a dust magnet. I plan to make this my go to rubber and vinyl dressing and am looking forward to using it on my wife's new Jeep. Rated 4 out of 5 by Ladano1957 from New Year / New Protector Getting ready for the first show of the year. Saw this and thought if was worth tring. I really like the shine and lack of oily film left by old stuff. No strong odor or girly smell. Rated 4 out of 5 by Perryb47 from Easy to use I received this product a few weeks ago and applied it to the interior ( dashboard, door panels and seat backs ) of my Toyota Highlander. It was easy to apply and the recommendation to buff lightly with a soft cloth made the results better. It was better than a competitors product in that the sheen left was more subtle and didn't reflect the sun's glare as much as the product I used previously. 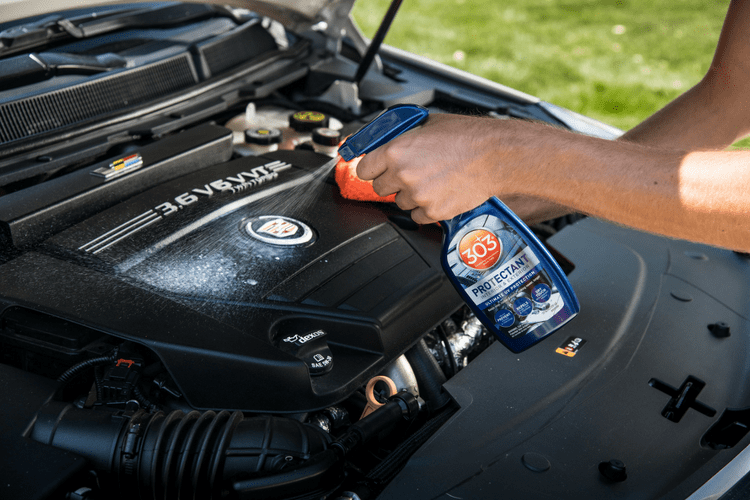 Rated 4 out of 5 by breezeinSTL from Solid middle-sheen protectant I'll preface this by saying that protectants are so subjective; peoples' preference has a lot to do with how they like the surfaces in their car. I'm of the mindset of keeping the surfaces appearing as they would as if they were new and untreated. I've used tons of different protectants- from the old school originals (the son of brand & the Viking) to the new products from established brands. 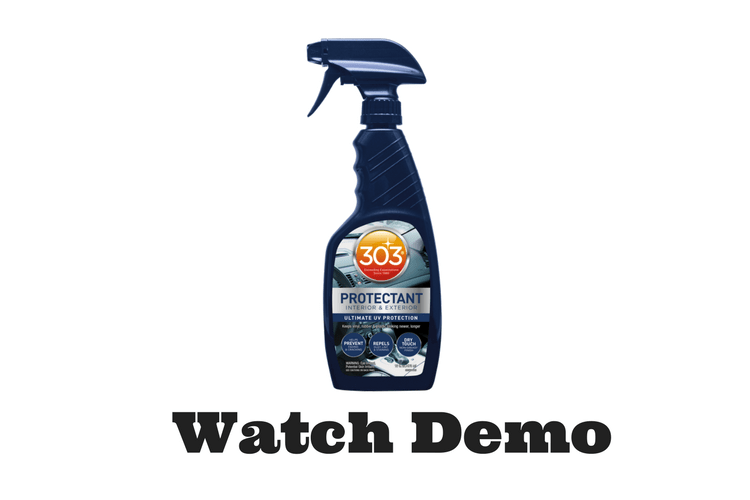 My favorite protectant goes on with a fine mist & wipes off to where it's almost imperceptible to see if it's there. This product is probably just on the glossier side of my favorite; it's not as greasy as the shiny products, but you know it's there. It leaves a nice partial shiny finish. It dries very nice; that was a pleasant surprise. However, for my personal tastes, it's still just a bit glossier than I like. It is a very nice finish, though. Also- be careful; much like other GoldEagle sprayers, note that there are two spray settings on the tip- a focused, heavy spray, and a misting spray. 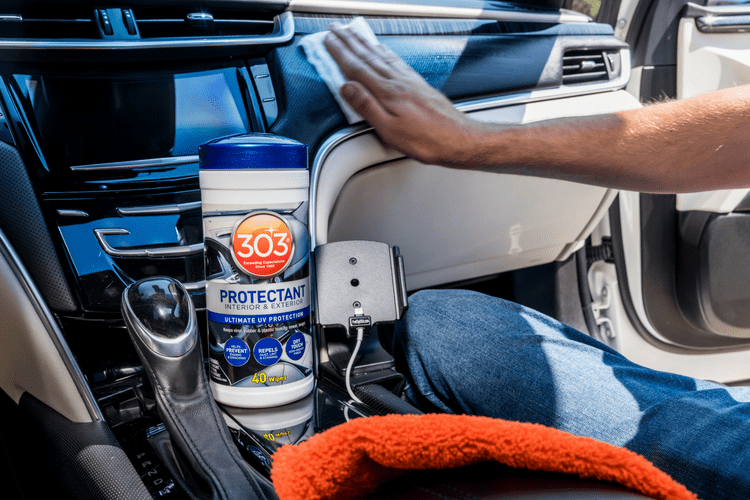 With protectant, they both have their place; the more focused spray is easier to control around windows, while the mist is nice for door panels & other larger surfaces. Also note that this really is a protectant; it doesn't really clean. You should definitely use a cleaner first. Overall very good to great product.